Apple shaped wooden box having metal lid on it is nothing but a transfixing sample of epic crafting. The entire meenakari work reflects the devotion and dedication of the master craftsman. 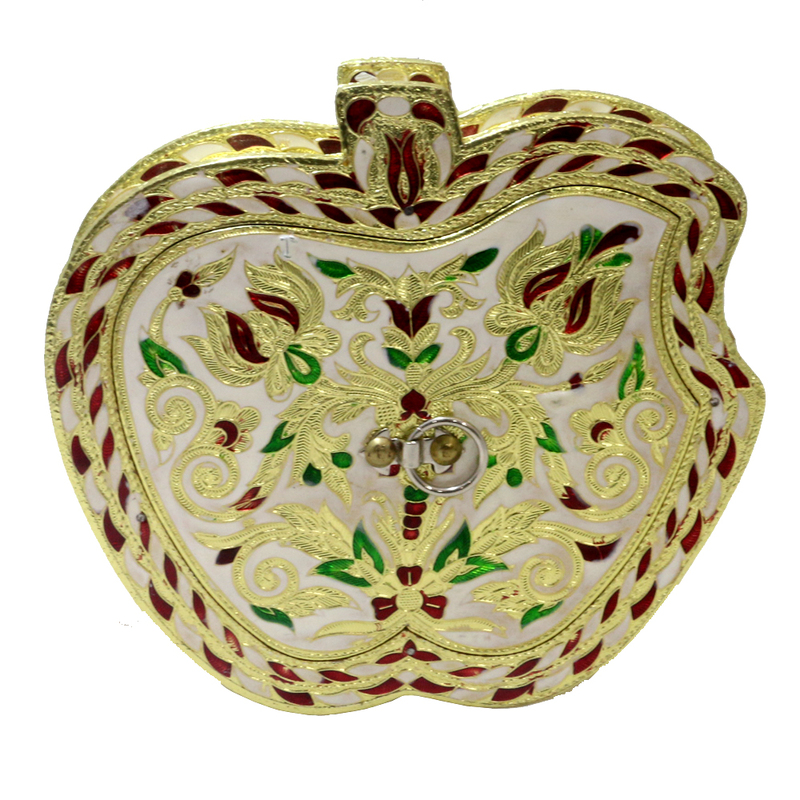 The apple shaped wooden box with magnetizingly crafted meenakari design on its lid will make anyone speechless. One can use this box to store anything Read More..from dry fruits to other delicacies. The sturdy but compact anatomy of this box will make you irresistable to buy it! Show Less..